Hertfordshire County Council approached TMP to help recruit the experts who would make their new single holistic family a real success. From team managers, to experienced children’s social workers, clinical psychologists, community psychiatric nurses, and even domestic abuse workers with a probation background – they needed to find the right people to combine the right skills. It was our job to create the solution that would speak to them all. Whatever the solution, it was essential that the work we developed conveyed the importance and the impact of these new teams. In response, we developed a number of creative executions that fully explored the intricacies of this pioneering initiative. In fact, Hertfordshire chose the concept that we felt was the most emotive – ‘Under one roof’. A powerful video would form the heart of this campaign, helping our message reach a wide number of potential candidates. 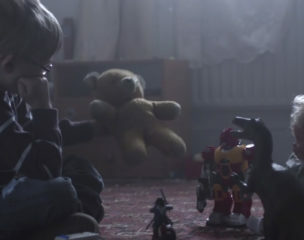 By working closely with the client, we made sure this video depicted a scenario that would typically require Hertfordshire to intervene to safeguard a child. "As a result, 130 CVs were submitted, 58 interviews were attended, and 15 offers were accepted." From the moment the campaign went live, people were talking about it and sharing the video on social media. Garnering coverage from both the BBC and ITV news helped to elevate the campaign further, and the video has achieved well over 2,000 views. As a result, 130 CVs were submitted, 58 interviews were attended, and 15 offers were accepted.